ATCC is a private, non-profit biological resource center (BRC) and research organization, focused on the acquisition, authentication, production, preservation, development and distribution of standard reference microorganisms, cell lines and other materials for research in the life sciences. As a long established entity in the field of life science, ATCC is a reliable and well-known name providing similar high-level products and services. Cedarlane is happy to distribute ATCC’s extensive product range with particular emphasis on affordability and efficiency. Manassas, Va., November 5, 2018 — Reinforcing its long-established reputation for quality and reliability as the steward for credible biomaterial and standards in the biological sciences, ATCC today announced details of its new initiative, Incredible 2020. 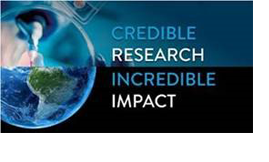 Building on ATCC’s non-profit mission, this Incredible 2020 initiative, which was unveiled at the Society for Neuroscience (SfN) 2018 annual conference in San Diego, CA, seeks to raise the bar for the development and application of biomaterials, bioinformation and standards in biological research through the introduction of five core pledges. Read more. CRISPR-edited isogenic cell models offer a more relevant option for studying disease progression and therapeutic efficacy. By targeting specific genes and generating disease-causing mutations, it's possible to better recapitulate human disease in a dish. With genome editing tools such as CRISPR/Cas9, ATCC has created isogenic cell lines with mutants of key oncogenes, which are ideal for identifying novel, personalized treatment regimens. 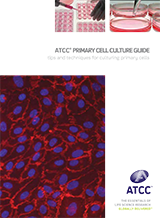 Start your drug screening studies with the new isogenic cell lines from ATCC! Learn more from the new educational video posted on our website. ATCC is a long-standing organization established in 1925, and is dedicated to a wide range of practices. As a biological resource center ATCC authenticates microorganisms and cell lines, and also manages logistics of long-term preservation and distribution of cultures for a robust scientific community. ATCC is committed to supporting the cultures it acquires and authenticating with expert technical support, intellectual property management and characterization data. As a research organization, ATCC works to produce innovative knowledge and technology, as well as to consistently improve its function as a BRC. ATCC scientists develop new in vitro model systems, outline new species, search for new disease biomarkers, and shape bodies of characterization data for valuable biological materials. 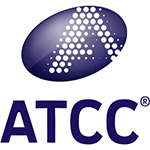 ATCC is fundamentally dedicated to utilizing its resources and experience as a BRC to be the recognized leader in biological reference materials – particularly in the acquisition of new content, development of references standards using unique assets, and through inquiry as to how biological research can be wholly improved through standardization and certification of biological materials. ATCC exercises considerable dedication throughout all of its practices in adhering to, upholding and exceeding industry standards regarding ethics, intellectual property, management and corporate responsibility. These initiatives encompass a wide range of products and services and are the vital imperatives upon which ATCC is constructed and operates. Click here to download the ATCC White Paper for Reporter-Labeled Strains. This paper discusses the reporters commonly used in microbiological research, and delves into further detail on the various applications of reporter-labeled strains. The ATCC Learning Center provides researchers with tangible resources for advancing and supporting their research. This includes the latest ATCC newsletters, upcoming webinar registration information, product sheets, and much more! Click here to access these valuable resources! 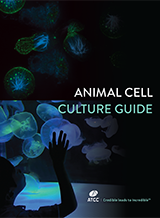 ATCC Standards Development Organization released its third ANSI Standard: Species‐Level Identification of Animal Cells through Mitochondrial Cytochrome c Oxidase Subunit 1 (CO1) DNA Barcodes (ANSI/ASN‐0003‐2015) for interspecies cell line identity based on sequence technology. This new standard complements the existing standard, ASN-0002- Authentication of Human Cell Lines: Standardization of STR Profiling, which is used for human cell line and tissue identification.